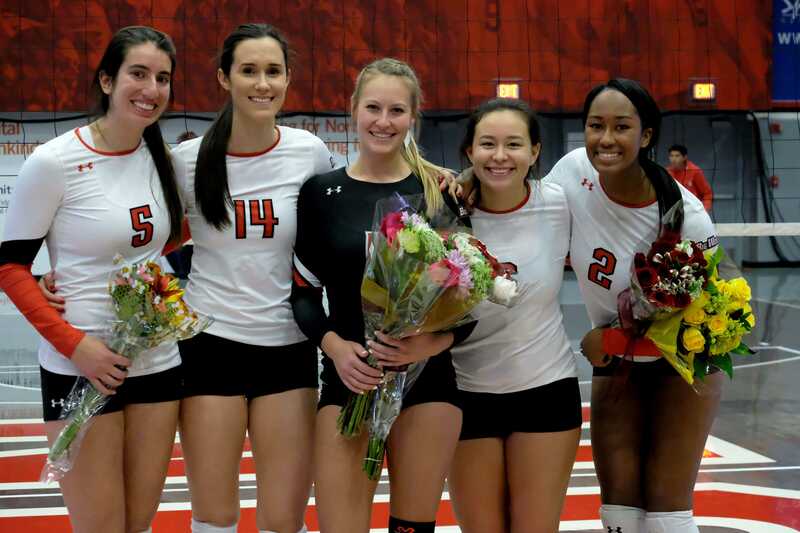 The Matadors failed to win a set against Hawaii notching another sweeping of CSUN on Senior Night in the Matadome. The Rainbow Warriors (11-2 Big West) downed CSUN (3-10 Big West) for the second time this season, this time with scores of (25-23, 25-19 and 25-20). The team’s five seniors all got the start but stumbled as the team failed to take the lead at any point in the first set for the third time this season. 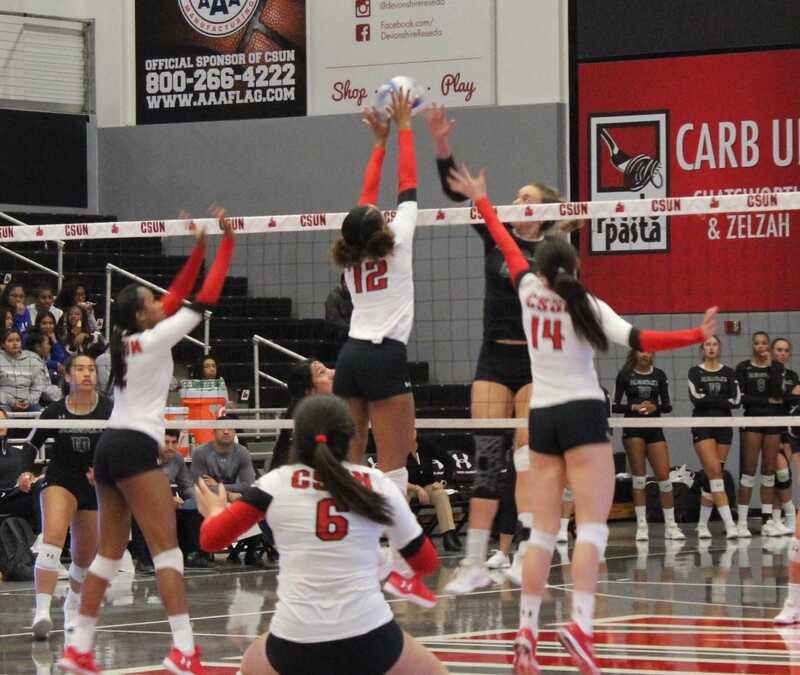 CSUN’s star Aeryn Owens was held in check for the majority of the game. The senior had six kills on 29 attacks in her Matadome finale, and her lowest kill total all season with more than 25 attempts. Down 22-16 Jeff Stork, head coach, called a timeout and then CSUN came alive. The Matadors went on a 7-2 and forced two Hawaii timeouts with the score hitting 24-23. But a kill by Hawaii setter Norene Iosia would end the Matador surge 25-23. In the second set, CSUN would manage four ties in the early going as well as finally taking the lead for one point. However, a persistent Hawaii team would go on their 7-2 run, and the Matadors could not respond in time. With their backs against the walls, Northridge managed to post multiple decent leads over the Bows. CSUN could not pull away and struggled to maintain the lead. 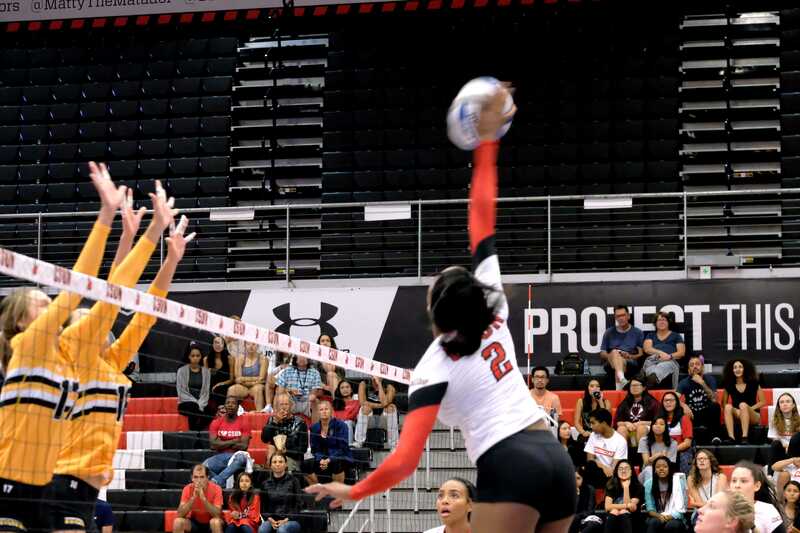 This time Hawaii responded with an 8-2 run and while CSUN kept it close Hawaii would close out the match with three straight points after three consecutive kills by outside hitter Nicole Nevarez brought the Matadors within striking distance. Nevarez, a freshman, stole the spotlight on Senior Night registering a team-high 10 kills on 18 swings. 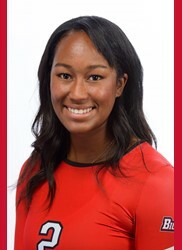 Middle blocker Morgan Salone also had a spotlight on her as the junior was blocking Hawaiian attacks left and right. Salone totaled eight kills and was hitting above .800 for the majority of the match. Defensively, the Matadors’ blocking was solid but the passing struggling. Libero Kristey Markle led yet again for the Dors but only managed seven digs on the night, tying the senior’s third-lowest mark this season. Seniors Cassidy Rosso, Erin Indermill and Nada Dragovic played well in their finales. Rosso got her second start of the season. She had major heat on her swing from both serving and hitting but only managed one kill on four swings. Indermill played well on both sides as the setter registered 13 assists and four digs. While Dragovic also played solid slamming down four kills on just eight swings. CSUN will now finish off the season on the road with three straight conference games. 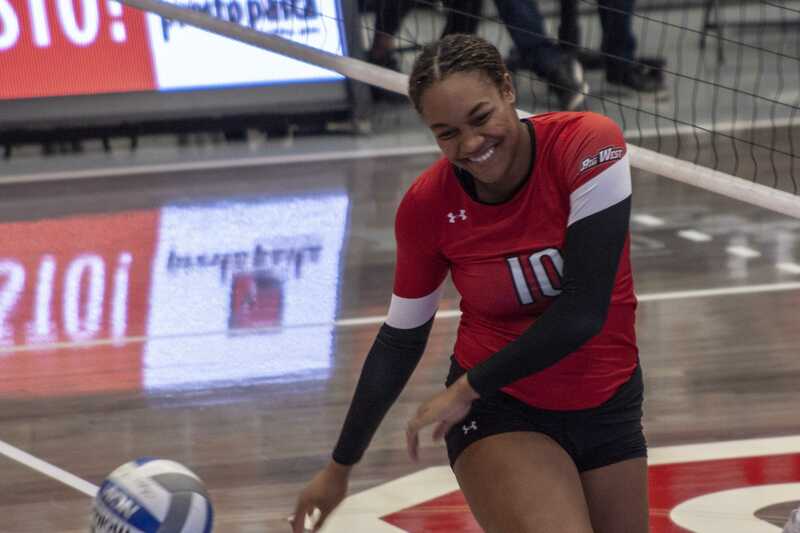 The Matadors will look to finish strong as they have already beaten their next two of three opponents while losing in heartbreak fashion to the latter. Northridge will travel to Fullerton Friday, Nov. 9 for a rematch with the Titans. The next day the team heads out to Riverside, this will be the team’s first consecutive games on the road in different arenas. Both games commence at 7 p.m.
Lastly, CSUN gets one more shot at Long Beach. 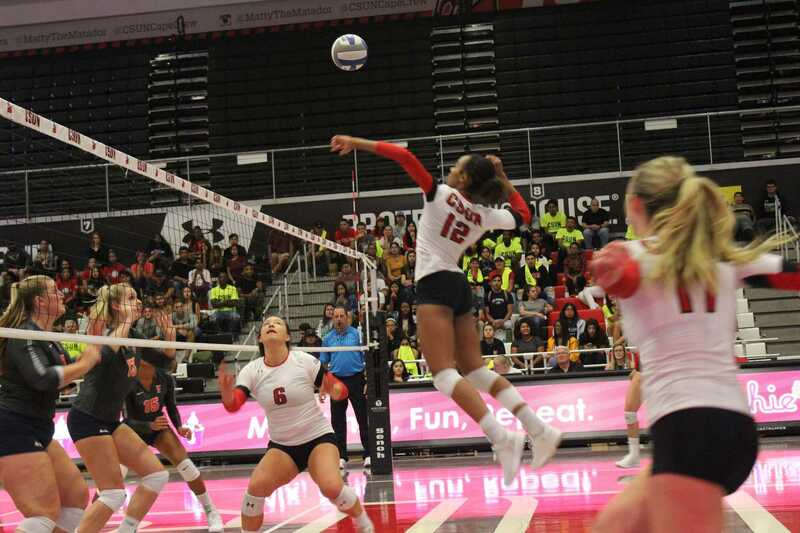 Beach downed the Dors in five sets back in September. The two went to extra points for the final two sets of the match both going in favor of Beach. Northridge at Long Beach begins Saturday, Nov. 17 at 7 p.m. to conclude CSUN’s 2018 Women’s Volleyball campaign.